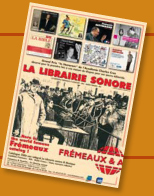 Troisième volume de l'anthologie de référence de la musique créole présenté par Jean Pierre Meunier en 2 Cd avec livret 44 pages (Français, Anglais) illustré de 20 photos. 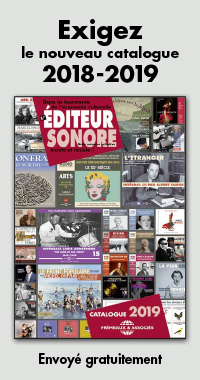 le volume 2 de l'histoire de la musique créole. 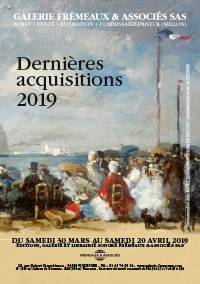 Droits audio : Frémeaux & Associés - French West indies. (Collection biguine antilles patrimoine créole, French west indies, Cultures caribéennes, caraîbes). De la version de Maladie d'amour par l'orchestre de la Boule Blanche (1931) à Mussieu Olga par l'orchestre antillais du Bal Blomet (1937), ce double CD est une véritable cure de jouvence auditive." Unappreciated at home, many Guadeloupe and Martinique Creole musicians move to Paris, where they achieved great popularity in the West Indians cabarets during the 30s and 40s. Apparently it must have been quite a scene, as this is Frémeaux & Associés’ third double-disc release of biguine. It includes a few waltzes, mazurkas, rumbas, and chansons. Biguine dates back to the 19th century, when Créolesfused traditional bèlè music with the polka. Instrumentally, it’s best characterized by a dominating clarinet melody that’s supported by banjos, guitars, pianos, and Latin hythms. The stringed players are often quite nimble fingered, the clarinetist emotionally expressive, the tempos snappy, and there is a high degree of skilled musicianship throughout. While most songs are clarinet-centric, a few selections represent the « biguine de salon » tradition whitha vocalist accompagnied by a pianist and/or guitarist, just as one would hear in a parlor room setting on a Sunday afternoon. But the majority of tunes are dance oriented, falling under the « biguine de bal » and « biguine de rue » social dance idioms. Many important figures are represented here, including clarinetists Eugene Delouche and Félix Valver, and trumpeter Abel Beauregard. The French-English bilingual liner notes are authoritatively written and quite informative. To begin the biguine, there is no better place to start than here. Six CDs, 108 tracks, and a playing time of just over five hours and ten minutes makes for an extensive reissue project. The biguine originated on the French Caribbean island of Martinique, which has close ties with its near neighbour Guadeloupe (both are now ‘departements’ of France rather than colonies), from, it is postulated here, the slaves reinterpreting the quadrille and polka. The clarinet is the main instrument, with violin, trombone, trumpet, sax – particularly alto – guitar or banjo, piano and kit drums also usual in the line-up. The biguine became popular in Paris towards the end of the twenties and at that times had close link with jazz, especially the New Orleans variety which it can sometimes resemble, particularly in the way the créole clarinet weaves its way around and about the melody ; the cha cha, a metal tube filled with rice or seeds and frequently used as a percussion instrument, also imparts a sound often similar to washboard, so that occasionally performances are reminiscent of Clarence William’s Washboard Band. 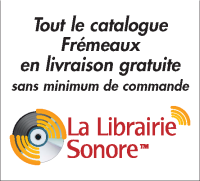 Listening to these CDs, New Orleans jazzman Sydney Bechet’s immense popularity in France becomes easily understandable, and certainly the popularity of this music helped to establish jazz as a serious musical force in France and beyond. These sets contain material issued on 78 by such labels as Odeon, Inovat, Salabert, Columbia, Parlophone, Sonabel, Pathé, Gramophone, Ultraphone, Cristal and Polydor, all recorde in Paris, plus two titles recorded in London and released by Decca. The time scale takes the listener from the initial recordings of the music at the end of the roaring twenties – Stellio was the first to record the biguine inParis (after studying jazz records and discs from Colombia and Venezuela) and the rather wild sounding « Serpent Maigre » from his debut session in september 1929 is fittingly the opening track – right up, amazing enough, to the German occupation of France and a couple of modern sounding tracks which point towards the modern bebop flavoured beguine that emerged after the War. As the series title indicates, although the biguine is by far and away the style of of the majority of these tracks, there are also Creole waltzes, mazurkas, occasional Latin sounds such as the rumba, a lullaby, a polka, some « folklorique » material and several numbers from french Guyana. The song topics range from nostalgia to for the islands to advertissements for clubs where the bands enjoyed residencies and on to Sosso Pé-En-Kin’s hideously ironic complaint – referencing the Great War and the Italian invasion of Ethiopia – that the black man ois merely cannon fodder (he died as a result of wounds received at the front in 1940). The dated and formal vocals of one or two of the female vocalists may not be to modern tastes- particularly Madame Maïotte Almaby, though her own « Madiana », which Josphine Baker also sang, is truly a beautiful performance. These may be offset for some by the assured guitar work of Pollo Malahel (pictured holding what looks like a four string National Steel). These three sets are sold separatly and come in double slipcases, with beautifull packaging, excellent sound and well-researched and extensive notes – in French only on volume one, though as the English translations on the other two sets are seriously abridged, if you can read French, you will find much more detail there. In short, this is a wonderful reissue project that is certainly of interest to those who enjoy vintage jazz or vintage calypso. Irish Music of North America.